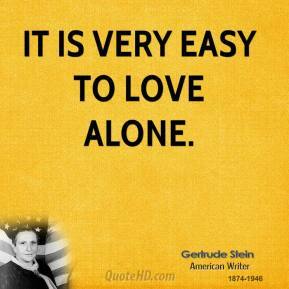 It is very easy to love alone. 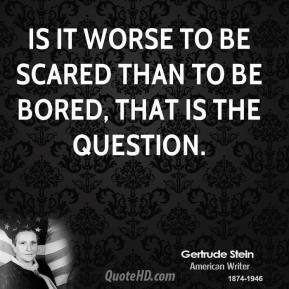 Is it worse to be scared than to be bored, that is the question. 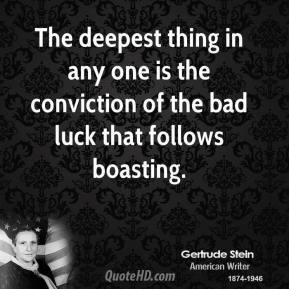 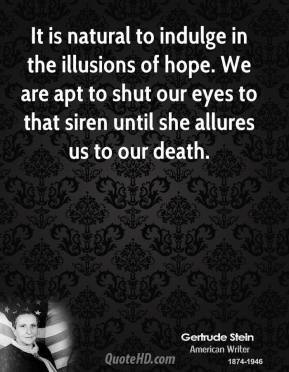 The deepest thing in any one is the conviction of the bad luck that follows boasting. 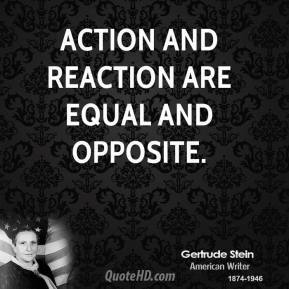 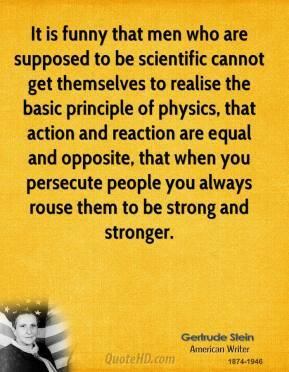 Action and reaction are equal and opposite. 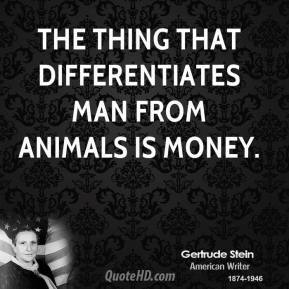 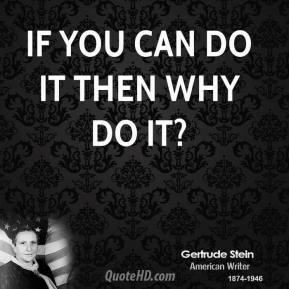 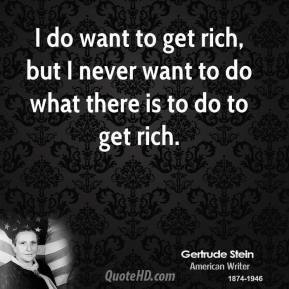 I do want to get rich, but I never want to do what there is to do to get rich. 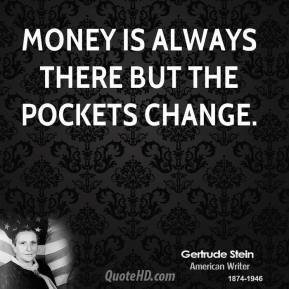 Money is always there but the pockets change. 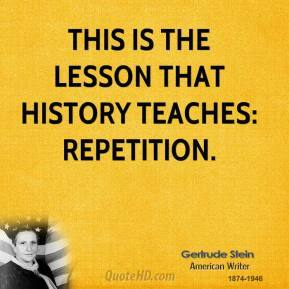 This is the lesson that history teaches: repetition. 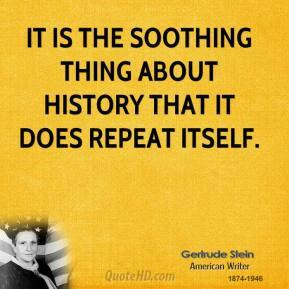 History takes time. 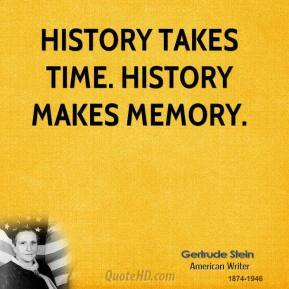 History makes memory. 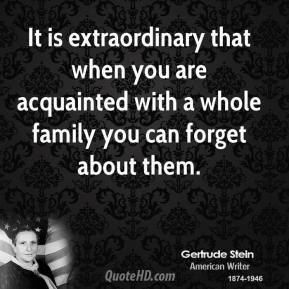 It is extraordinary that when you are acquainted with a whole family you can forget about them. 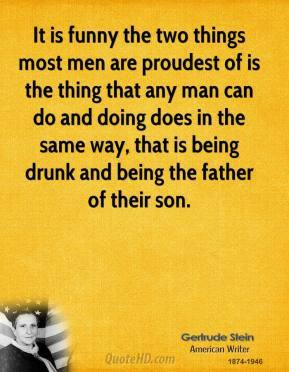 It is funny the two things most men are proudest of is the thing that any man can do and doing does in the same way, that is being drunk and being the father of their son. 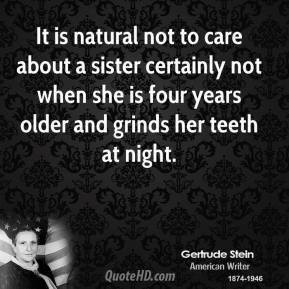 It is natural not to care about a sister certainly not when she is four years older and grinds her teeth at night. 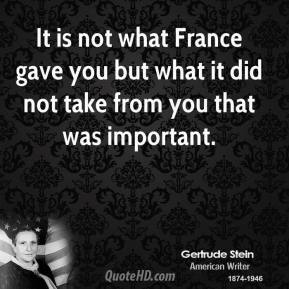 It is not what France gave you but what it did not take from you that was important. 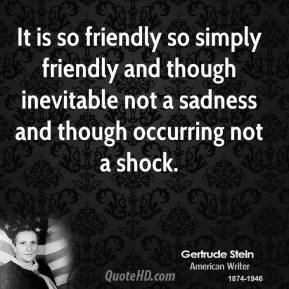 It is so friendly so simply friendly and though inevitable not a sadness and though occurring not a shock. 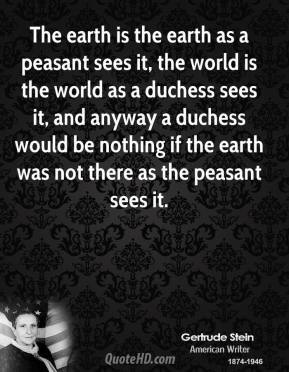 The earth is the earth as a peasant sees it, the world is the world as a duchess sees it, and anyway a duchess would be nothing if the earth was not there as the peasant sees it. 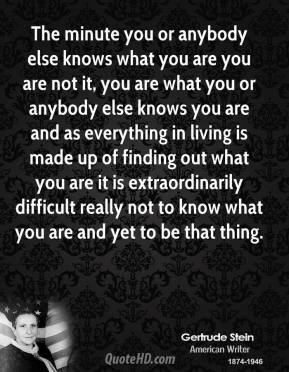 The minute you or anybody else knows what you are you are not it, you are what you or anybody else knows you are and as everything in living is made up of finding out what you are it is extraordinarily difficult really not to know what you are and yet to be that thing. 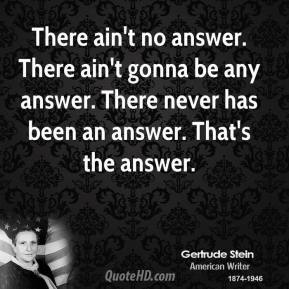 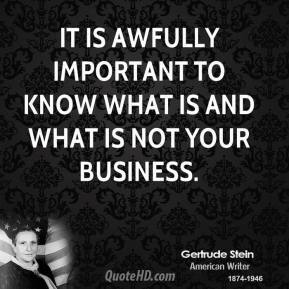 It is awfully important to know what is and what is not your business. 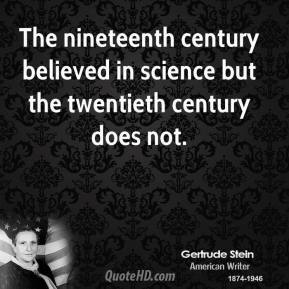 There is a difference between twenty-nine and thirty. 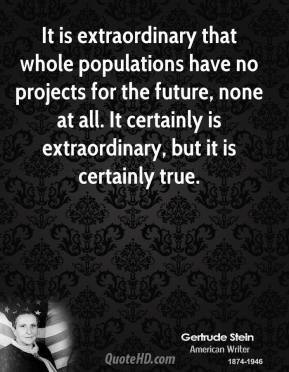 When you are twenty-nine it can be the beginning of everything. 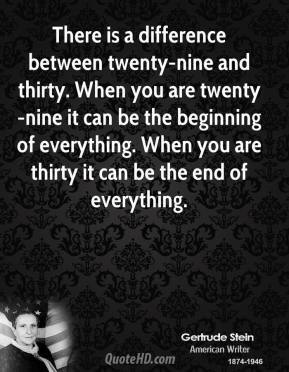 When you are thirty it can be the end of everything.